In a year that is overburdened with superhero films, we finally come to Marvel’s biggest film of 2016, Captain America: Civil War. I approached this film with a sense of cautious optimism: I loved the Civil War graphic novel, and equally enjoyed Anthony and Joe Russo’s last Marvel film, The Winter Soldier. However, a sense of genre fatigue has certainly tempered my enjoyment of superhero films in the last year or so. I’ve written previously about my scepticism surrounding superhero smackdowns, believing that they are often flimsy excuses for filmmakers to draw in larger audiences without giving the heroes a credible reason to fight. Thankfully, Civil War has exceeded my expectations. 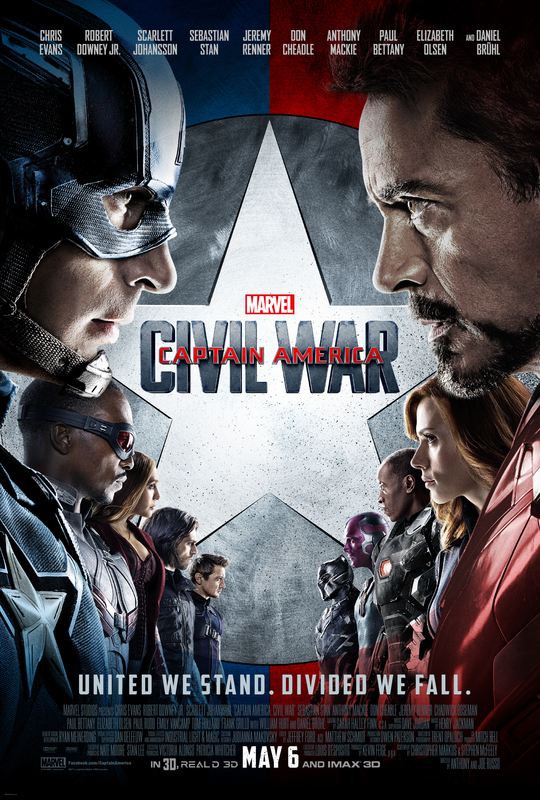 Not only is it a poignant sequel to The Winter Soldier, but it may be one of the best Marvel films to date. Very minor spoilers ahead – nothing surprising if you’ve watched the trailers. 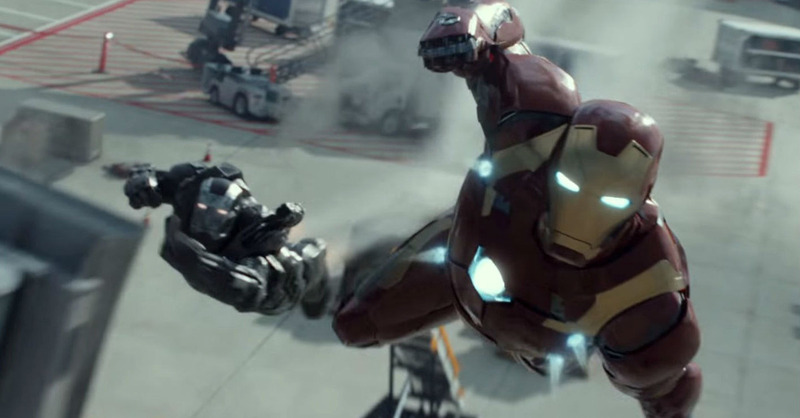 Following the events of Age of Ultron, the Avengers are being asked to be held accountable for their actions. The United Nations have drafted the Sokovia Accords, an attempt to police and control the actions of superhumans. This splits the Avengers down the middle, with Tony Stark supporting the signing of the Accords, whilst Steve Rogers opposes the idea of a government body controlling the team. In the background, the sinister Helmut Zemo attempts to manipulate Bucky Barnes for his own nefarious purposes. One of my concerns with this film was that it would feel more like an Avengers film rather than sitting within the Captain America series. The enormous cast had potential to take the focus away from Steve Rogers and his quest to find Bucky. Yet the film manages to feel like a sequel to both The Winter Soldier and Age of Ultron, using plot elements from both films to build its emotional core. It continues Steve’s storyline with Bucky – this is the heart of the film – whilst also using that relationship to incite a larger clash of ethics between Steve and Tony. It is also heavy with the political and personal fallout from Sokovia. Hints that were dropped in The Winter Soldier – the return of Rumlow, the assassination of Tony’s parents – are given satisfying conclusions. The most impressive thing about the film is how the Russo brothers balanced such a large ensemble cast. The script is tight and well-written, allowing each character to participate in the broader picture without distracting from the main themes. Despite its large cast, this is still very much Captain America’s film. Most of the other Avengers play minor roles, each having a few minutes in the spotlight before it returns to the debate between Steve and Tony. Even relationships between minor characters – Vision and Wanda, or Natasha and Clint – are handled with enough sensitivity for their inevitable battle scenes to carry emotional weight. When you’re writing a film where some of the most beloved superheroes decide to fight each other, it is critical that all characters have credible reasons for choosing their sides. The film would fall apart if the reason for their disagreement was based on a flimsy pretence that didn’t carry any emotional weight. Yet the Russo brothers ensure that each character has the right emotional motivation; their choices felt entirely natural, especially those of Tony and Steve. Tony supports the signing of the Accords because he feels guilty over his creation of Ultron (as usual, Tony’s past mistakes create his own enemies) and because he believes the Accords will protect innocent people. Steve opposes the Accords because of his experiences with Hydra infiltrating SHIELD; he doesn’t trust others to make the right decisions. As the film evolves and their reasons grow increasingly personal, rather than political, Civil War does an amazing job of convincing me why these characters would choose to fight each other. In fact, the introduction of the Sokovia Accords feels like an inevitable consequence of Age of Ultron. The battle scenes in this film are excellent. A superb balance of spectacle and emotion. They intensify over the duration of the film, so that although it might feel like the characters are pulling their punches at first – they are fighting their friends, after all – by the end they are not holding back. The climax is particularly harrowing. Unlike the other Avengers films, where the climax is often accompanied by a rousing blast of theme music while they triumph over evil, there is no such sense of triumph as you see two beloved protagonists fighting each other. I also loved the beginning of the film – a covert operation in Lagos, which feels very much like the strike on the ship at the beginning of The Winter Soldier. 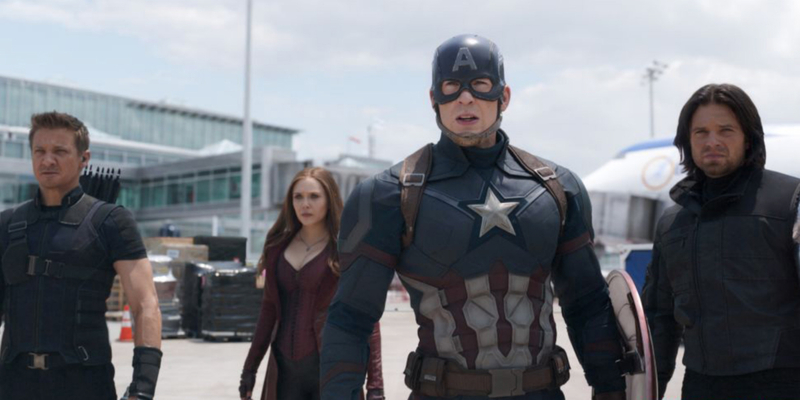 The Russo brothers are great at handling black-op-style missions for Steve Rogers. The introduction of two new characters – Black Panther and Spider-Man – was also a highlight of the film. Both of the characters have plenty of room to establish themselves in a film that is already overloaded with other strong characters. Chadwick Boseman, in particular, gives a memorable performance, a sense of barely-controlled fury beneath his calm exterior. Tom Holland looks suitably dorky as a very young and inexperienced Spider-Man. 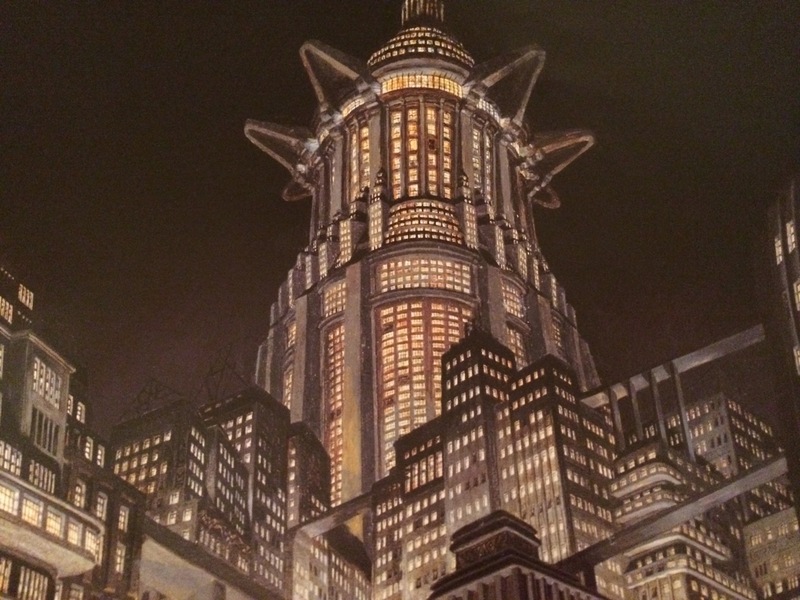 However, the decision to include Spider-Man was one of the sour notes of the film. The Russo brothers have said in interviews that they penned the script with the hope that Sony would reach a deal with Marvel that would allow them to use the character. They insisted that he was essential to the plot – their movie simply wouldn’t work without him. This is blatantly untrue. Spider-Man isn’t essential to this film. His inclusion is simply a chance for Marvel to return the character to their stable of heroes, an attempt to redeem the character for those fans who had been left disappointed by the Amazing Spider-Man films. 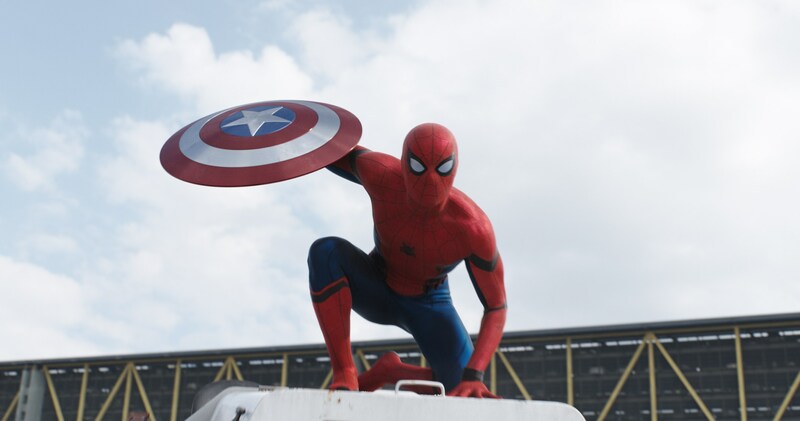 His motivation in the film also broke my suspension of disbelief; the idea that young Peter Parker is so eager to take up arms against world-famous heroes such as Captain America was a jarring concept. Although his introduction was funny and exciting, it just didn’t feel like Spider-Man deserved to fighting alongside these established heroes. A comparison to the graphic novel further illustrates my point. In the Civil War graphic novel, the cause for the rift between heroes – the Superhero Registration Act – means that identity is the underlying theme. Spider-Man unmasking himself as Peter Parker in a moment of solidarity with the Registration Act has huge implications; after all, Spider-Man is the hero who has always most closely guarded his secret identity. Therefore, Spider-Man is integral to the plot, the embodiment of the proposal to unmask superheroes. This is not so in the Civil War film, where the Sokovia Accords are written in response to a desire to make the Avengers accountable for their actions and to control their future deployment. It is about themes of control and accountability, not identity. To insist that Spider-Man is somehow indispensable to the plot, when he is not one of the characters who is being held accountable for the destruction previously wrought by the Avengers, is to fundamentally misunderstand the thematic core of the film. This is a film about Steve, Bucky, and Tony. One last point: the chemistry between Robert Downey Jr. and Marisa Tomei was wonderful to see, a fitting homage to their last screen outing in Only You (1994). I have a soft spot for that film, so it was great to see them reunited. Despite some minor qualms, Civil War cements my belief that the Captain America films are the strongest series in the Marvel Cinematic Universe. I wrote an article a month ago calling for a New Wave in superhero films. Although Civil War by no means signals such a transformation in the genre, it proves that a good film is still capable of rising above the rest of the milieu. It is great to see that Marvel are still capable of making excellent superhero films. I am very much looking forward to see what the Russo brothers accomplish in the upcoming Avengers: Infinity War movies.